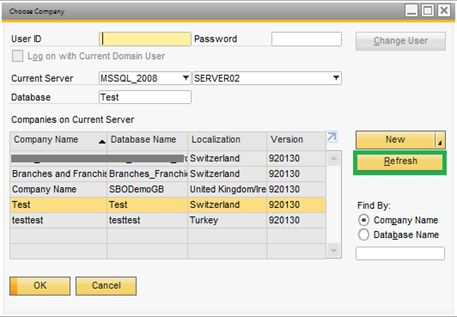 SAP Business One, to browse, refresh and read the databases’ contains. 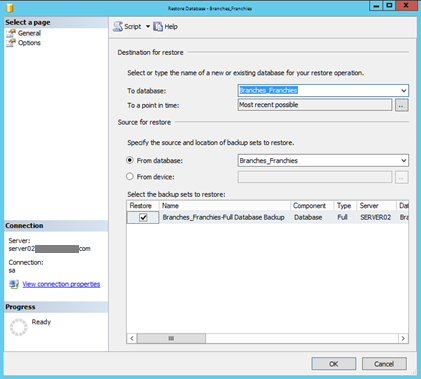 SQL Server Management Studio (SSMS), to Backup – Restore databases. Put your “sa” credentials. The System Administration authorities. 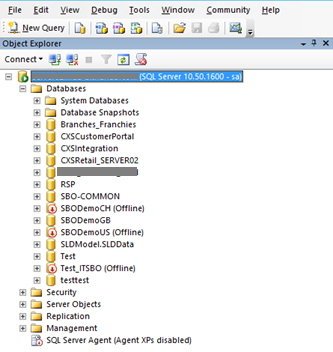 From Object Explorer > the wanted server > Databases > the wanted database. 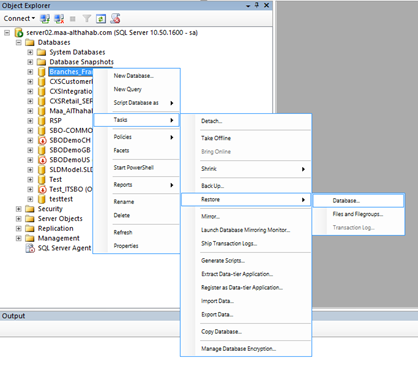 A new window will show up “Back Up Database”, in this window we have to two sections; General – Options. 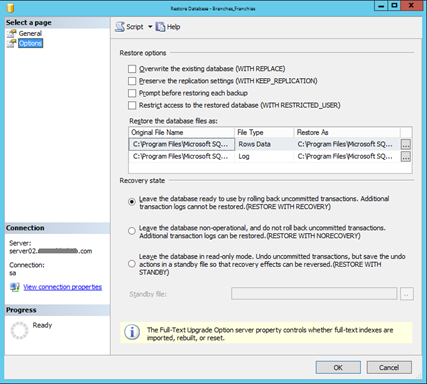 Choose the backup type: Full – Different – Transaction Log. Choose the backup component: Database – Files and Filegroups. Define the Name and Description the database. Set the expiration date if you want to, or leave it “0” days. If you want to add a new one, press “Add” button and choose the file that you want to put it in. 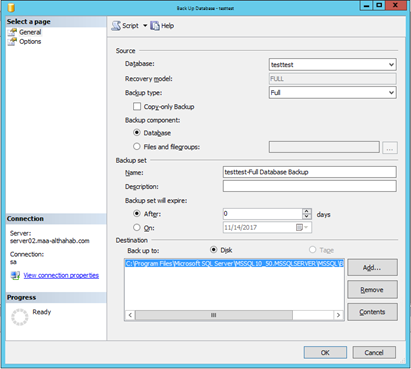 Append the existing backup set put additional to the old one. Overwrite all existing back up set, replace the old one with the new one. Check media set name and backup set expiration if you want to. Backup to a new media set, and erase all existing backup sets. Reliability: choose to verify back up when finish, continue on error, perform checks before writing to media. After you set all the previous options, hit the “ok” button down there, and wait until the execution process ends. When it’s being done, a new message will appear to you with “The Backup Completed Successfully”. 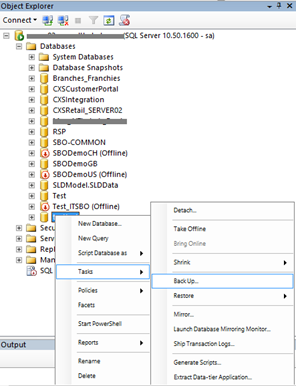 Right click on any database you want > Tasks > Restore > Database. Under Restore Plan Section, we’ve to make sure the “Restore” check box has checked. Just to check the folder and other required information for restore operation. Note: when we want to restore a database from one of our backup, the database is already existing, for that we do have to change its name to be able to restore it, otherwise we won’t able to complete the restoring process. After put all settings perfectly, press “ok” button to complete. 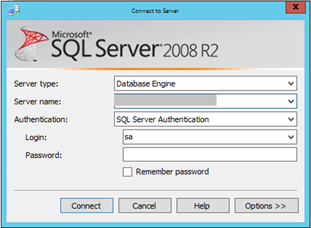 After the operation is being done, a new message window will show up saying that “The Database Restored Successfully”. When you open it at the first time after the Data Restoring process has been done, the new one will not show up immediately, you have to press the “Refresh” button on the mid-right of the “Choose Company” window. After refresh the database, the restored one will appear right there. In the restored database you have to use the credentials that you used to use in the origin one. During the Backup and Restore operations, you have to keep SAP Business One closed, don’t open it! You have to get Administrative authorities on your Work Machine.